Ireland's most competitive fashionistas are out in force at the Dublin Horse Show. 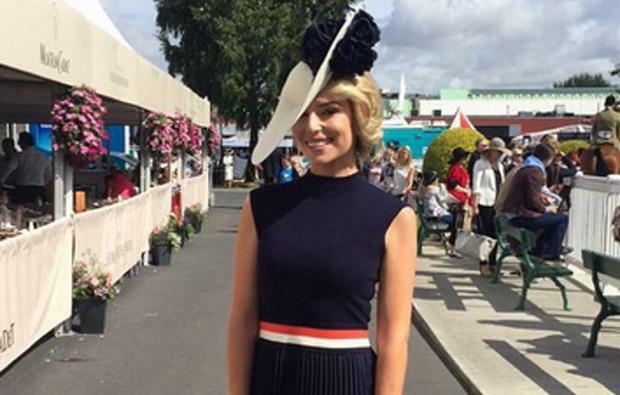 As Ladies Day is in full swing at the RDS, judges Pippa O'Connor and Irish Independent Fashion Editor are leading the style pack as they hunt for today's Best Dressed Lady. Pippa, one of Ireland's top bloggers and up and coming beauty entrepreneur opted for a high neck navy top and pleated skirt from high street store Karen Millen, pairing it with bright accessories and a custom made headpiece by Jennifer Wrynne. This year's Best Dressed Lady competition is sponsored by Dundrum Town Centre, and the lucky winner will scoop a €10,000 voucher for Ireland's largest shopping centre. Today's style stakes don't end there though with a Most Stylish Lady competition being hosted at The Shelbourne Hotel's No 27 Bar this evening from 6:30pm. Suits you - but is Roz Purcell's fashion line a perfect fit for €500?